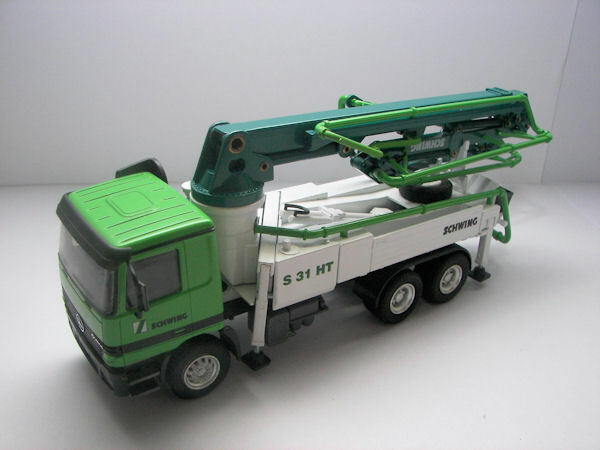 Conrad produces this Schwing S31 HT concrete pump. The pump is build upon a Mercedes Actros chassis and finished in the Schwing factory colours. As usual with Conrad the mirrors are supplied separate and need to be fixed to the model. 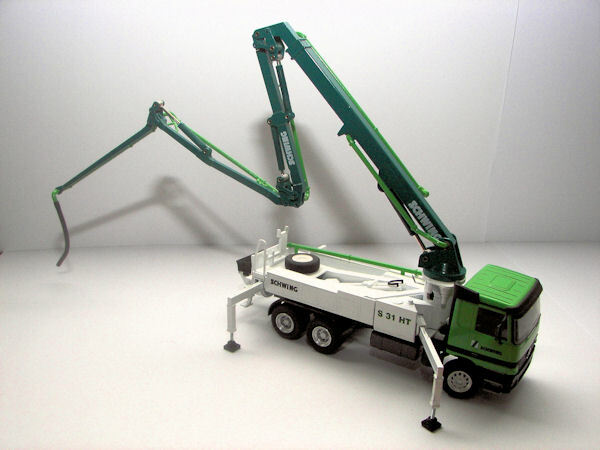 The model is nicely detailed and is equipped with a metal boom. All tubes on the boom are plastic. The hopper features a detachable black plastic frame. On the deck the hydraulic cylinders of the pump are clearly visible. The deck has a nice diamond pattern, which is completely covered in white paint. The outriggers are made of metal. The outriggers at the front extend diagonally, at the rear regular outriggers are used. On the left side of the body there is some storage space, of which the door can be opened. 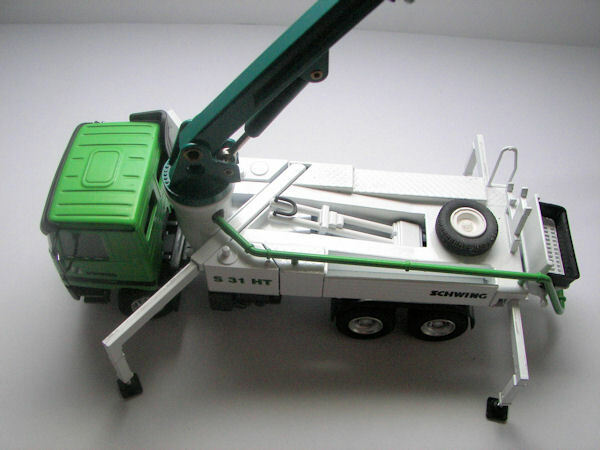 Unique future of the Schwing S31 HT is the telescoping first section of the boom. This future has been functionally reproduced by Conrad, and attention was also payed to the piping on the boom, which extends with the boom. 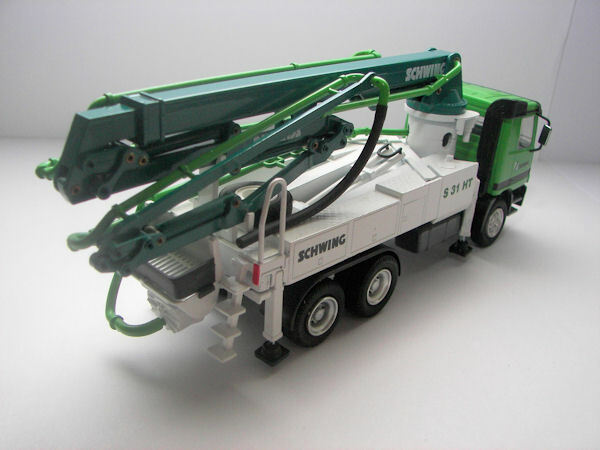 With the Schwing S31 HT Conrad introduced a detailed model of a unique concrete pump. The model has crisp printing and detail level is up to the Conrad standards.